I have no hesitation in now saying that one day there will be prevention and cure for cerebral palsy. Professor Badawi AM is an internationally recognised neonatologist with extensive experience working in the field of cerebral palsy and newborn brain conditions. In 2009 Cerebral Palsy Alliance appointed Professor Badawi as Australia’s first Chair of Cerebral Palsy, at the University of Notre Dame Australia, to oversee projects funded by the Research Foundation of Cerebral Palsy Alliance. The position has been funded by the Macquarie Group Foundation and the Commonwealth Government. In 2015, this appointment as the Chair of Cerebral Palsy moved to the Sydney Medical School, The University of Sydney, within the Discipline of Paediatrics and Child Health. With an outstanding record in attracting and leading research in the area of cerebral palsy, one of Professor Badawi’s key roles as Chair is to implement the strategic plan for cerebral palsy research priorities. Professor Badawi’s dedication, commitment and determination have put cerebral palsy research under the international spotlight, and the results have been ground breaking. Professor Badawi is renowned for her research on the outcomes of neonatal intensive care, neurodevelopmental outcomes following major cardiac and non-cardiac surgery, neonatal encephalopathy and cerebral palsy. Her papers on newborn encephalopathy and the paper entitled ‘What Constitutes Cerebral Palsy?’ are some of the most cited cerebral palsy research papers in the world. 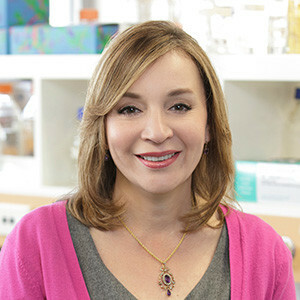 Her reputation as a leading authority on cerebral palsy has ensured the Research Foundation has some of the world’s best research minds now working collaboratively and proactively to find ways to not only prevent cerebral palsy and to establish best practice interventions to help people with cerebral palsy live as full a life as possible, but also to cure cerebral palsy. In 2014 Professor Badawi was awarded Membership of the Order of Australia (AM) in the Queen’s Birthday Honours list for her significant service to paediatrics and neo-natal intensive care medicine as a clinician and researcher,and for her leadership and promotion of research into cerebral palsy. Less than a decade ago, most people believed cerebral palsy was a non-preventable and incurable condition. Now, medical science’s attitudes towards severe brain injury are changing thanks to the efforts of Professor Badawi and her colleagues around the world, alongside advances in brain-imaging technology, stem-cell science, gene therapy and metabolic research. Professor Badawi is based at the Cerebral Palsy Alliance, from where she is leading our dedicated team of researchers at our Research Institute. 2000 – 2004 NHMRC Project Grant: $443,253. School performance and other outcomes among survivors of newborn encephalopathy. Chief Investigators: N Badawi; JJ Kurinczuk; SR Silburn; SR Zubrick; FJ Stanley. 2014 – 2015 Macquarie Group Foundation 2013 200/200 Award: $200,000. International Multidisciplinary Prevention and Cure Team (IMPACT) for Cerebral palsy. 2012 – 2015 Collaborative Research Network Program, University of Notre Dame Australia: $980,929. The right services at the right time, promoting healthy people with cerebral palsy. Chief Investigators: Iona Novak; Nadia Badawi; Sarah McIntyre; Petra Karlsson; Shona Goldsmith. 2009 Perpetual Foundation: $18,000. Early developmental Outcomes Following Major Surgery in Infancy. 2006 – 2009 March of Dimes (USA) Project Grant: $320,000. Neurodevelopmental Outcomes Following Cardiac Surgery in the First Ninety Days. 2006 Quality at Kids Awards: Caring for Parents and Carers. 2006 Quality at Kids Awards: Consumer Participation in Health Care. 2000 – 2002 New Children’s Hospital, Royal Alexandra Hospital for Children Research Grant: $46,000. Outcomes of surgery in the neonatal period. Chief Investigator: N Badawi. Click here to view Nadia’s publications.